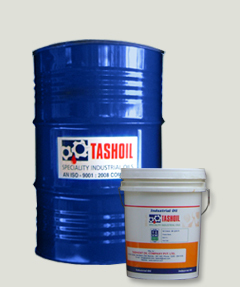 Automotive Engine Oil So 15 W 40 :: Tashoil Company Pvt. Ltd.
Lubrash SO 15 W 40 multigrade oils meeting the high performance level API SF for petrol engines and API CC for diesel engine oils. These also meet E-Pl2 / E-DL 1 performance level of IS: 13656:1993 specifications. These oils are made from high quality solvent-refined base stocks and selected additives which are carefully blended together to give multi-grading suitable for ‘round the year service in most location in India. Excellent Oxidation stability and added protection against engine deposits, rust corrosion and wear. Quicker engine start and longer battery life. Longer service life - less oil drains. High degree of engine cleanliness. Lubrash SO 15 W 40 is recommended for use in all petrol engines and especially for the high performance fuel efficient engines of vehicles.